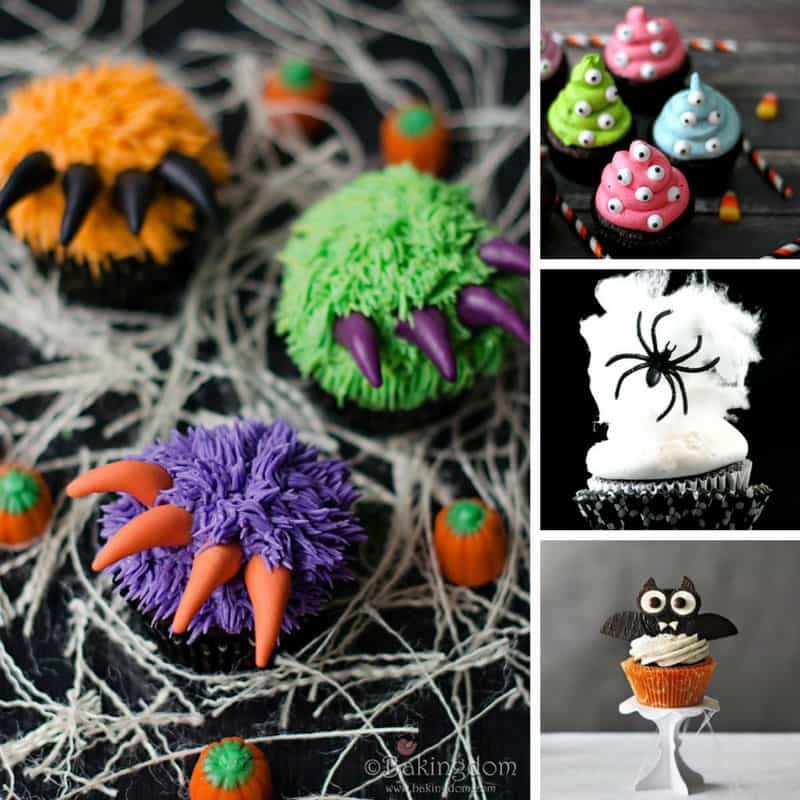 Home > Holidays > 2019 Halloween Food, Decor & Craft Ideas > 13 Easy Halloween Cupcakes for Kids to Enjoy! 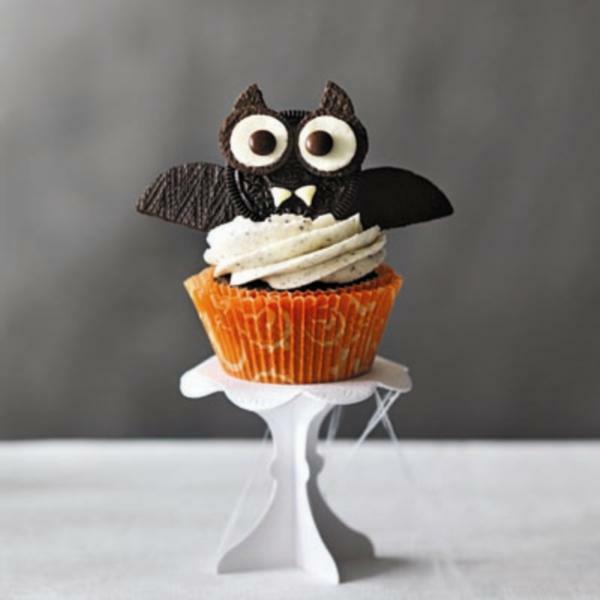 Our collection of easy Halloween cupcakes for kids is filled with spooky and ghoulish treats they are sure to love! Halloween is not too far off now so it’s a great time to start planning what tasty treats you’ll be serving up at your party. Today we’re sharing some easy Halloween Cupcakes for kids to make with you and enjoy eating either at a party or just at home with the family! 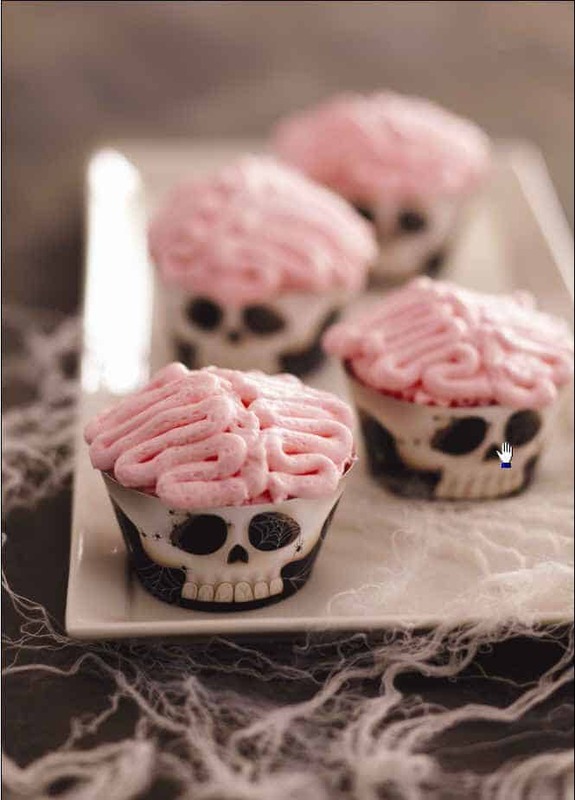 From spooky spiders to googly eyed monsters, tombstones to brains we’ve got all the cupcake ideas you need! Be sure to scroll all the way to the end so you don’t miss any fabulous recipes, and pin your favourites to your Halloween board so you know where to find them later! 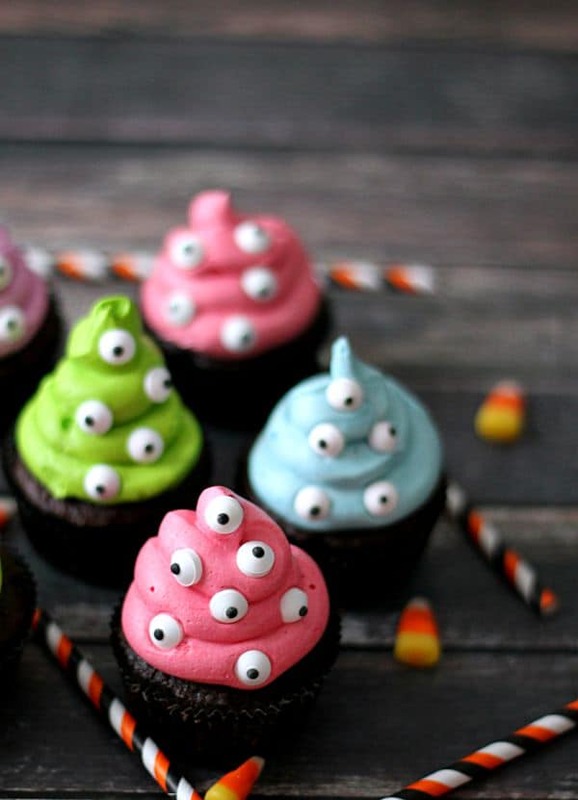 No spare time to bake and decorate cupcakes for Halloween? 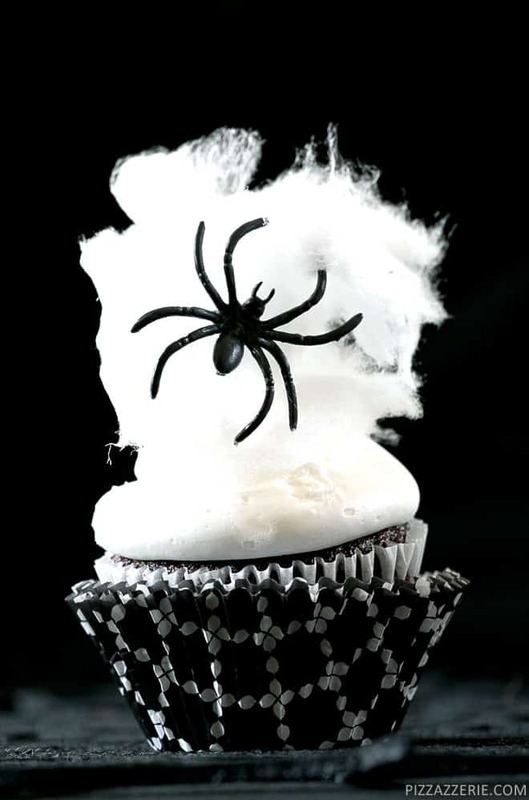 Just order some of these spiderweb liners and buy some cupcakes from the store! 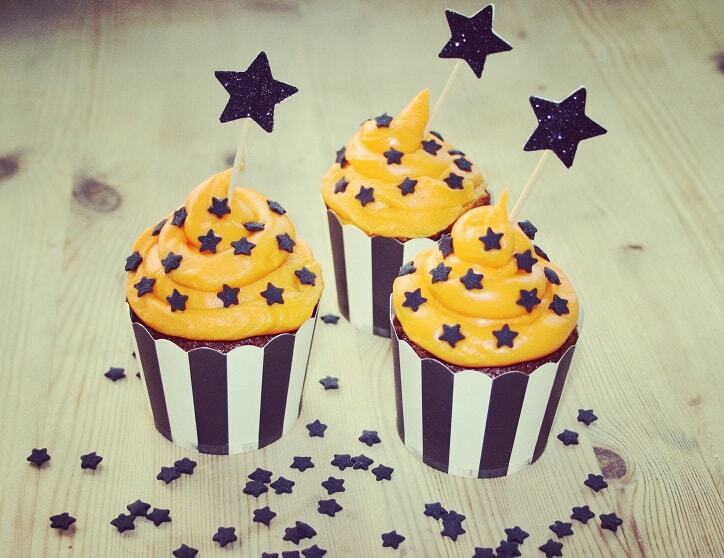 Looking for an easy Halloween cupcake thats suitable for siblings of different ages? Try these! 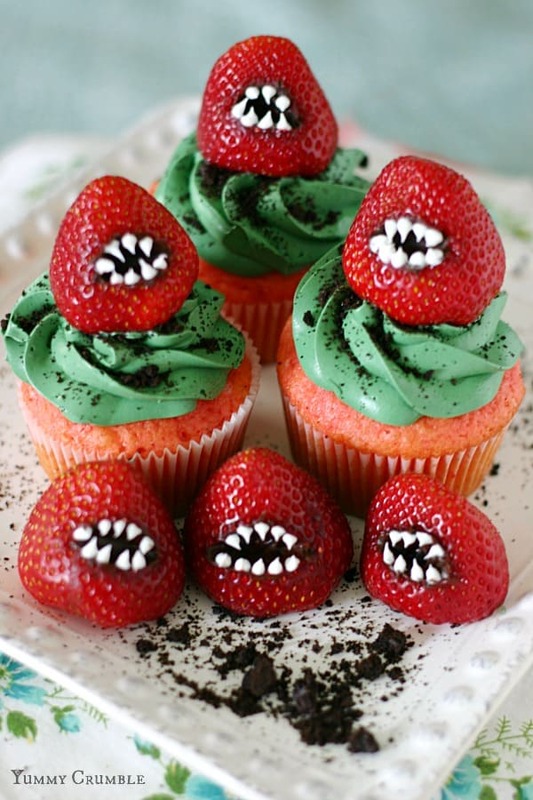 You can make a creepy version or a cute version of this monster claw cupcake! Last week we shared some fabulous Monster Cookies and now here is the cupcake version! You can whip up your cupcakes from scratch or cheat and use a cake box mix, but be sure to click through for the recipe for that yummy monster coloured buttercream frosting! 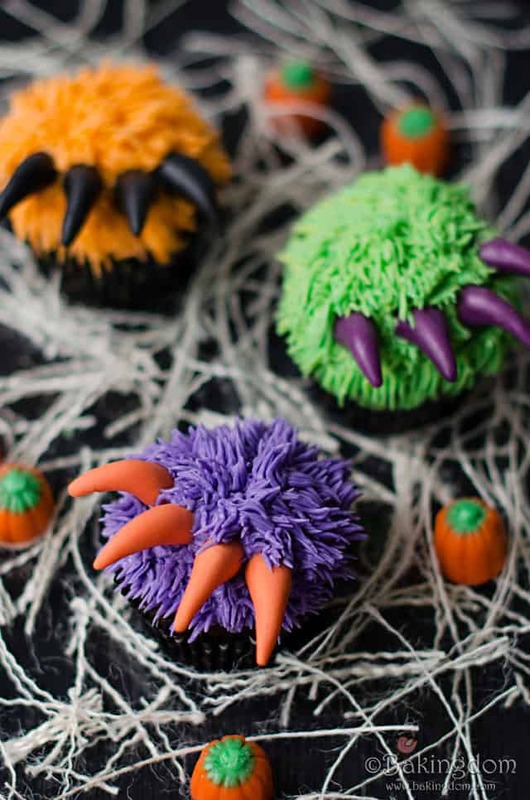 Get your piping bag ready and then watch this short video to see how to make some spooky spiderwebs to top your Halloween cupcakes! Click here to see more Spooky Spider Treats! Oh my! These Pumpkin Cupcakes don’t just look fabulous they actually taste of Pumpkin thanks to a tin of puree in the cake mix. 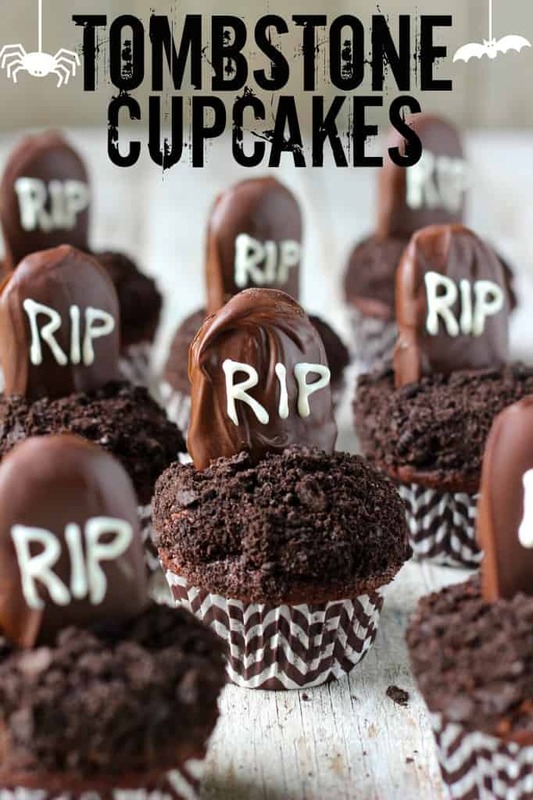 For a really spooky cupcake choose these Tombstone ones topped with chocolate covered Milano cookies! 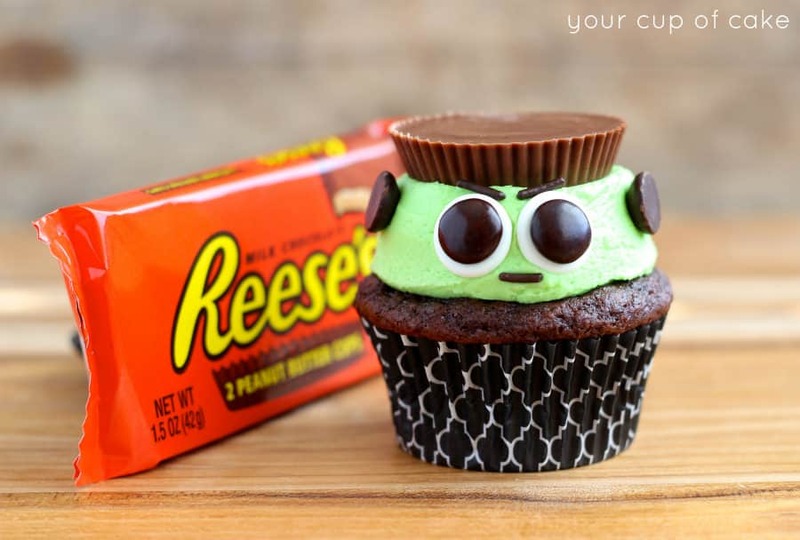 If you have any Reese’s Pieces fans in your family you need to make these super cute Frankenstein’s Monster cupcakes! Click here to see more Halloween Treats for your party table! I have never thought about mixing cotton candy with cupcakes before but what would you know it makes a fabulous spider web effect! 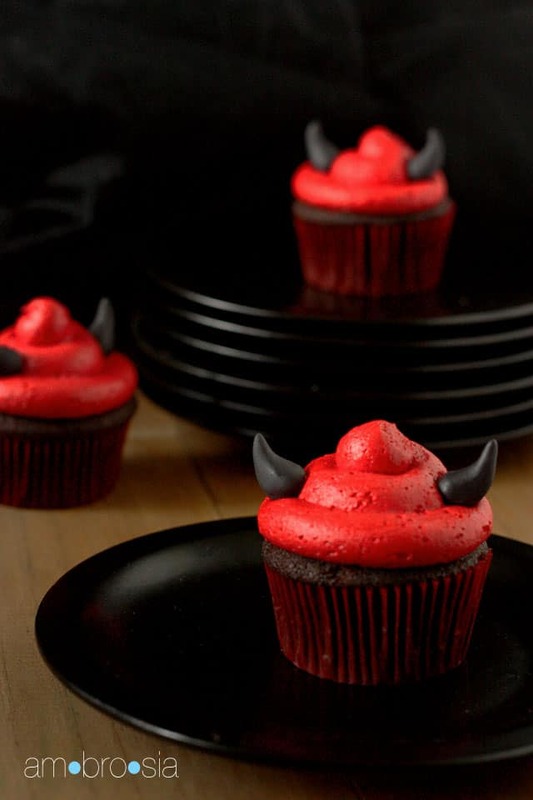 How amazing would these devil cupcakes look on your Halloween party table. Make sure you take note of how to make the red frosting look red and not bright pink! 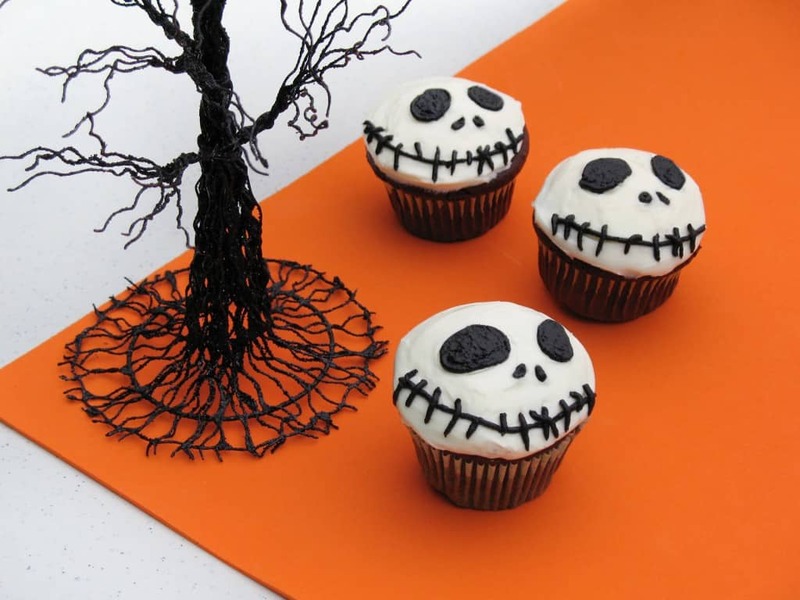 Here’s a super easy Halloween cupcake idea for fans of Jack Skellington! Black icing can be a little hard to find in the store but you can order it from Amazon here. What do you get when you cross a brownie with a pound cake and throw in some orange food colouring? 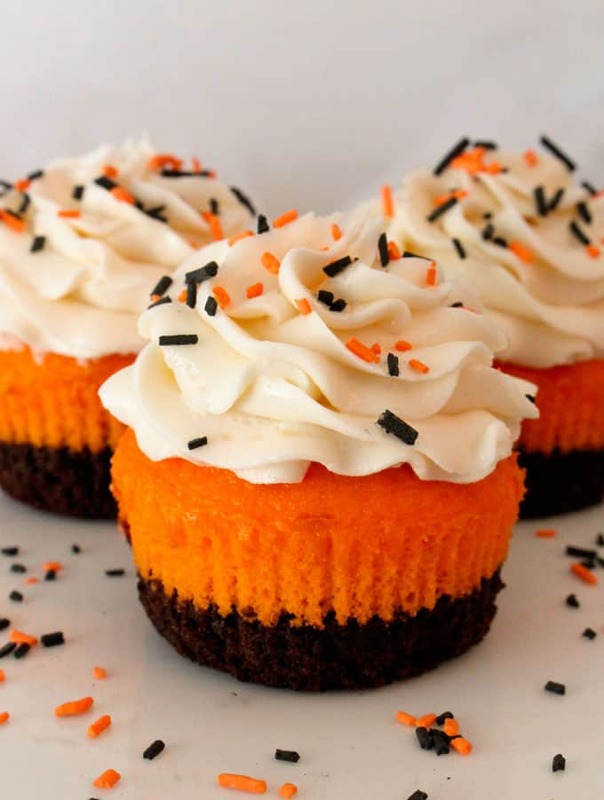 Delicious Halloween themed cupcakes that’s what! Oh how ADORABLE is this bat! And they’re so easy to make too so get the kids involved, they’ll love the ectoplasm hiding in the middle of the cake! Might be best to save these cupcakes for older children because the last thing you want to do is scare your preschoolers away from eating strawberries! Previous PostPrevious 19 DIY Back to School Teacher Gifts That Are Super Cute!